The current leader admitted it was "awkward" and he had been "surprised". 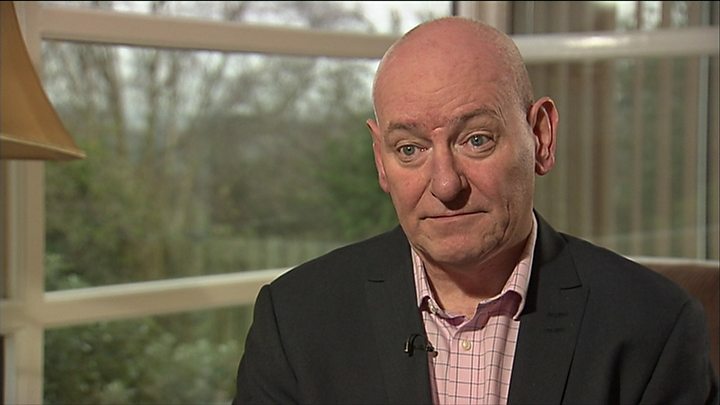 What are Durkan's chances of an EU seat? "Mark has made a personal decision about his future and he's done it for the right reasons, in my view," he told the BBC. "He wants to be a voice for the north in the European Parliament, which we badly need. I think Mark will do a fantastic job, if elected. He has a fantastic track record." Mr Eastwood said that politics in Northern Ireland was "badly, badly broken" and his party was "trying to find a way through that". "We have made a very clear decision about our partnership with Fianna Fáil and I am determined to deliver that, to build it. "It's not about the next election, it's about the next generation." "It is difficult, but we're doing a big thing here. 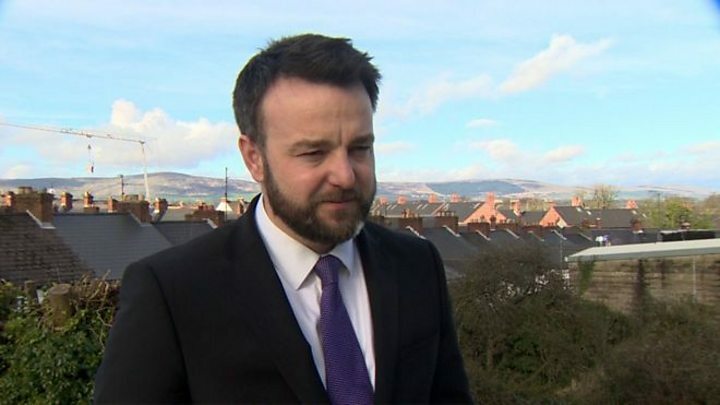 The partnership between the SDLP and Fianna Fáil is a new dynamic in politics. "It has to grow, it has to build, it has to prove that it can work. We're determined to do that." Earlier, Mr Durkan, who was formerly the MP for Foyle, said he had informed the Hume family of his decision to stand for Fine Gael before making it known publicly. Mrs Hume is now primary carer for the former SDLP leader John Hume, who has been suffering dementia for years. Mr Durkan said Mrs Hume knows him "well enough to know" he was "no less SDLP" by deciding to run as a Fine Gael candidate. He said his decision to stand for Fine Gael had been driven by Brexit.